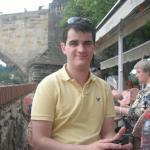 Hi, my name's Darragh, I'm 24 and was born and raised in Dublin, Ireland. I love travelling, there's nothing better than opening your horizons and discovering new cultures, new foods and new experiences. My most favourites trips have been a recent trip to Washington D.C. and New York City, and inter-railing (travelling by trains) across 6 countries in Europe. I'm currently living and working in London and although I am beginning to love the city more and more, nothing makes me happier than travelling back to Dublin for a weekend or longer. 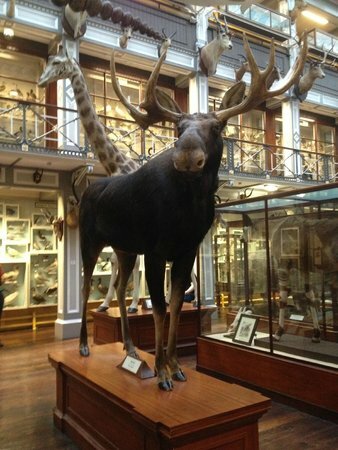 Looking for attractions to keep the whole family entertained while in Dublin? Follow this guide to the best family-friendly locations in town. The 3-Day (72 Hours) Freedom Ticket, valid on all Dublin buses, is the perfect pass for getting around town easily. Keep a careful eye on your possessions in stations and busy shopping areas. 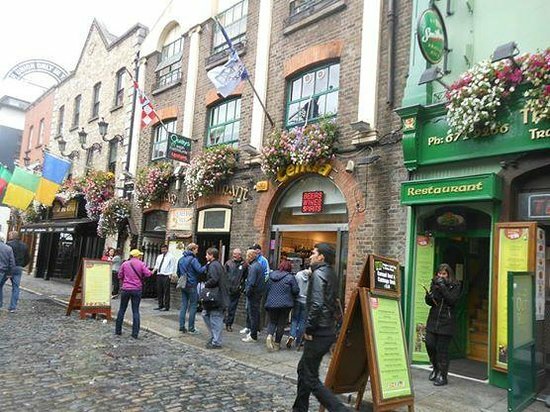 Dublin is a great city for walking, especially around the city centre. 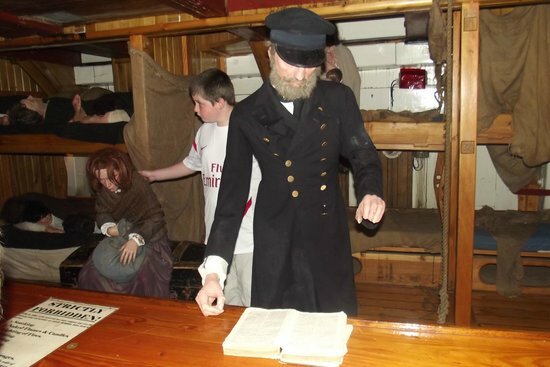 The Jeanie Johnston Tall Ship and Famine Museum is perfect for families of all ages, keen to learn about Ireland's long and difficult period of famine, mass emigration and poverty. Climb aboard this beautifully restored 19th-century tall ship for a great insight into the grim realities of travelling across the Atlantic, as well as a glimpse into the skills and craftwork behind building the impressive vessel. Before or after visiting the ship, explore the newly regenerated area around Custom House Quay. 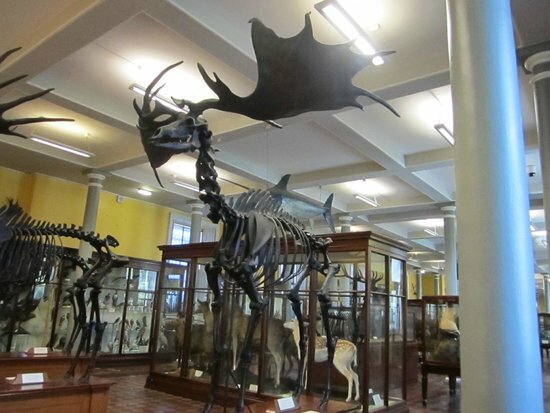 Set in one of the largest urban parks in Europe (Phoenix Park), Dublin Zoo is one of the most popular attractions in the country, and a must-do for families visiting the city. 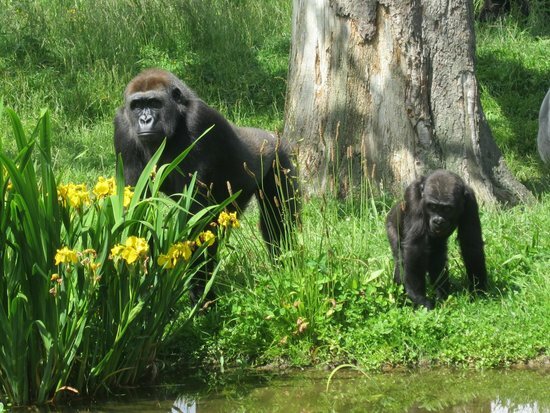 Not far from the centre of the city, the zoo is easily accessible on foot or by the Red Line Luas (tram line). 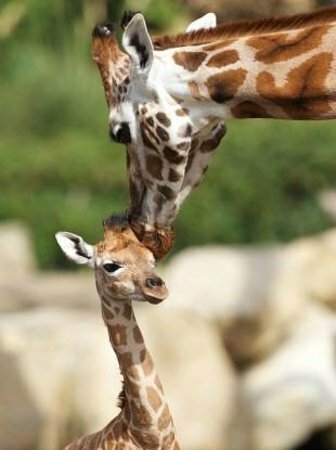 With African Plains-themed settings, petting areas and interactive exhibits, this zoo is incredibly popular with tourists and locals alike. Look up animal feeding times in advance and plan your visit around these. 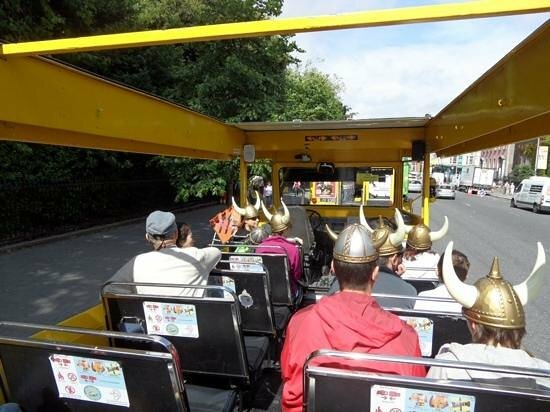 If you’re looking for a fun and interactive tour of Dublin, Viking Splash is the tour for you! 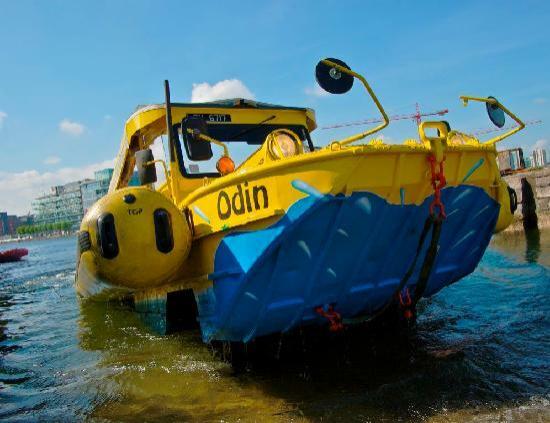 Using authentic WW2 amphibious vehicles, this Viking-themed tour shows you the best of Dublin city by both land and by water. Kids will love the Viking helmets, warrior roars and games played on-board, while adults can enjoy learning about the rich history of the city in a quirky and memorable environment. Make sure you wear your Viking Helmet at all times! 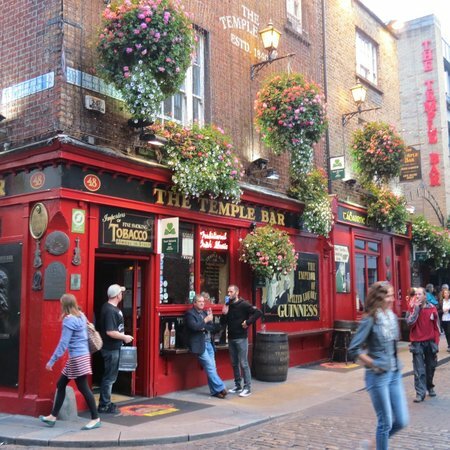 While Temple Bar, and areas surrounding it, are unsuitable for children at night (busy with nightclubs, bars and lively take-away food outlets), during the day, the atmosphere is completely different. 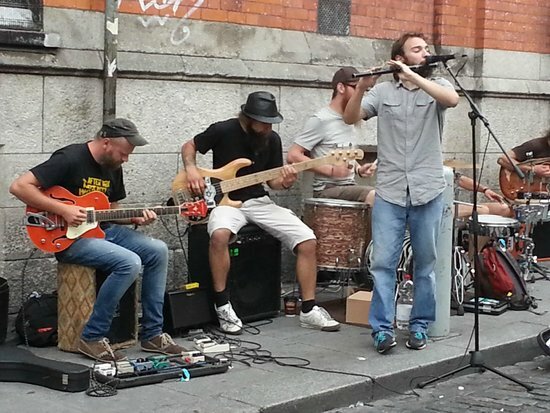 Browse the quirky independent shops here, enjoying traditional Irish music as you go. Avoid Temple Bar at night with children. 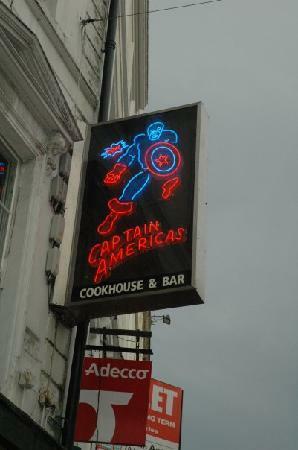 Similar to TGI Friday’s or the Hard Rock Café, Captain America’s is a trendy and incredibly popular American-style restaurant situated in the heart of Dublin. 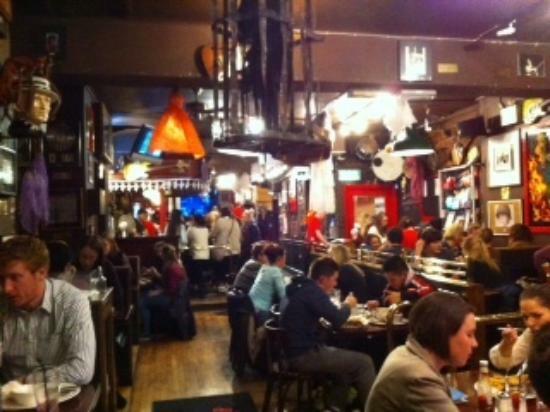 Located on Grafton Street, the city's most popular shopping street, the restaurant is decorated with music memorabilia, from rock-and-roll icons to local Irish legends. 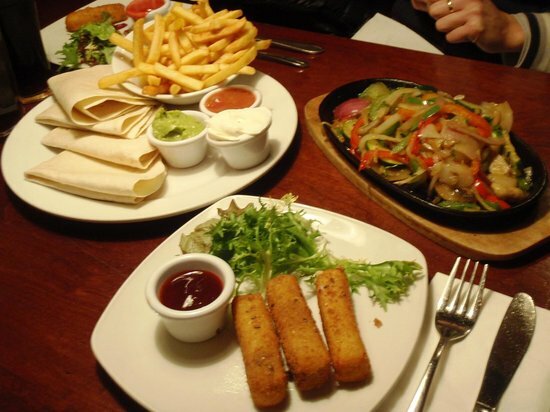 While not everyone's idea of quality food and service, the restaurant's lively atmosphere and family-friendly dishes are sure to keep the kids happy. You may need to wait a while for a table, but the experience is worth it. 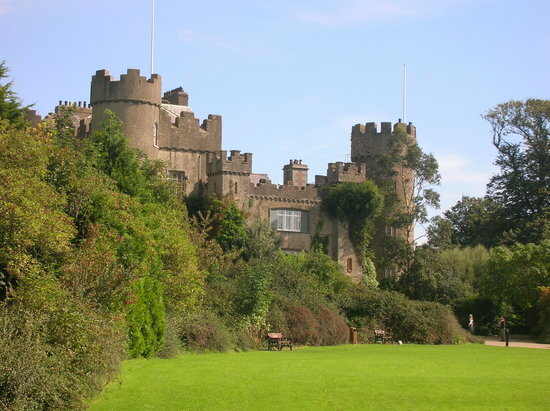 Malahide Castle and park, situated in north county Dublin, is a real local favourite. 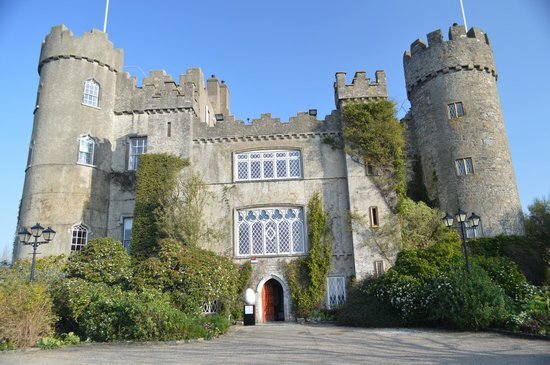 Dating back to the 12th century, Malahide makes a serene getaway for families, couples and outdoor-lovers alike; complete with rolling fields, sports pitches and playgrounds, which children will love. The Malahide Castle Store and Café, near the rear of the park, is also incredibly popular, offering delicious dishes and charming gifts in its luxurious Avoca shop. 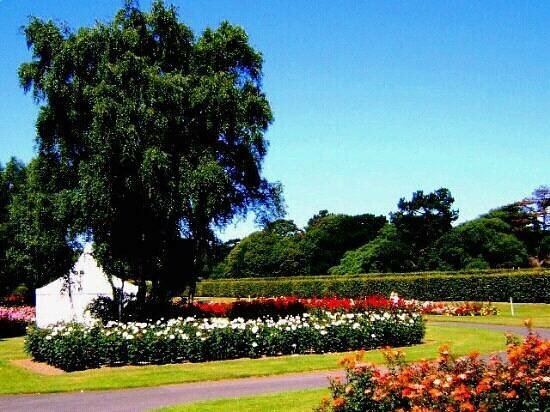 If you venture to just one spot outside of the city centre as a family, make it Malahide! To get here, take bus #32 or #42 from the city centre. Journeys by taxi are expensive. 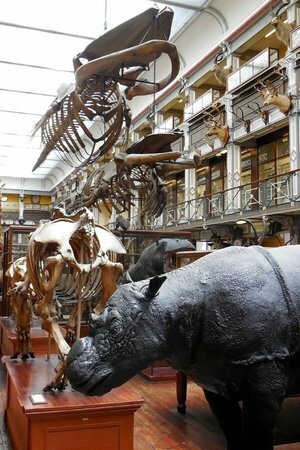 The Natural History Museum is a favourite of families and museum-lovers alike, and little seems to have changed since it's Victorian beginnings, giving architecture enthusiasts an extra special treat! Children will love exploring the floors of the building and getting up close to the amazing animals on display here – not just from Ireland but from around the world – and adults are sure to enjoy themselves too, discovering countless animals they have never heard of before... Southern African Dik-Dik anyone? It never gets too busy, making it a good spot to visit any time. Check opening hours online in advance. The educational/guide team in the museum organise events, workshops and tours designed to make natural history fun for children of all ages. Check online for upcoming events. 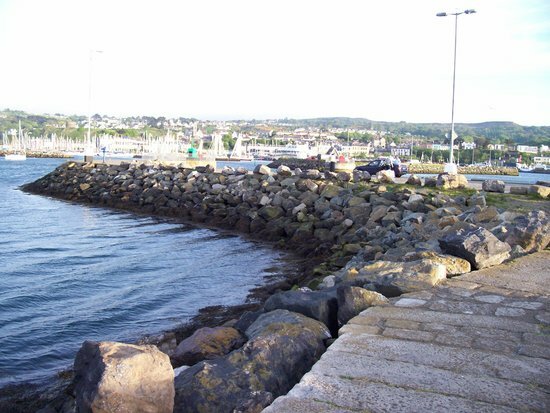 The Waterside Howth/Howth Harbour is a firm local favourite, particularly with Dublin families. 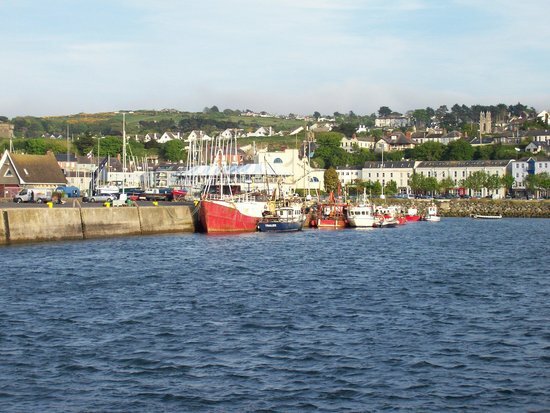 Situated on Howth Head peninsula in the north of County Dublin, this bustling suburban town mixes its small fishing town origins with an attractive modern twist. 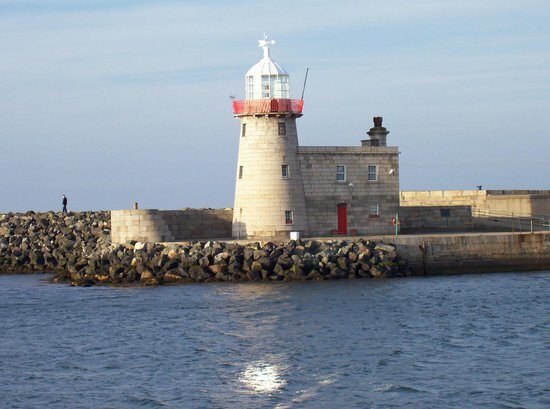 Perfect for a sunny day outing, enjoy a stroll down the harbour walkway to the lighthouse - which offers stunning views of Ireland's Eye island and the Irish Sea – and then stop off at Maud's for an ice cream or pick up some of the best fish and chips in town from Beshoff's on the main street. 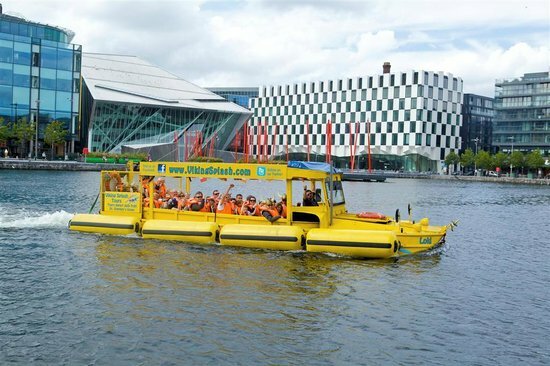 To get here, take the train (DART) or Dublin bus #31 from the city centre. There are plenty of scenic grassy areas where you can sit to enjoy your takeaway fish and chips or ice cream. 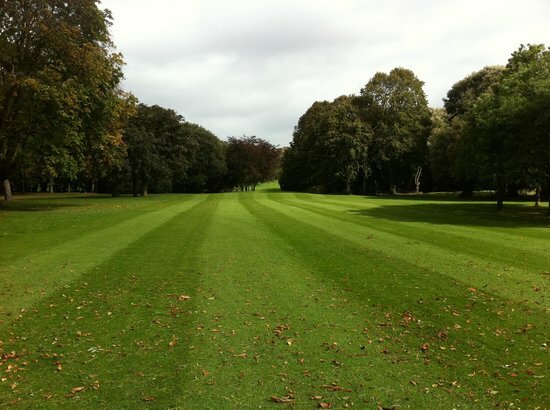 St. Anne's is a large and beautiful public park situated close to the coast in the northern Dublin suburbs of Raheny and Clontarf. 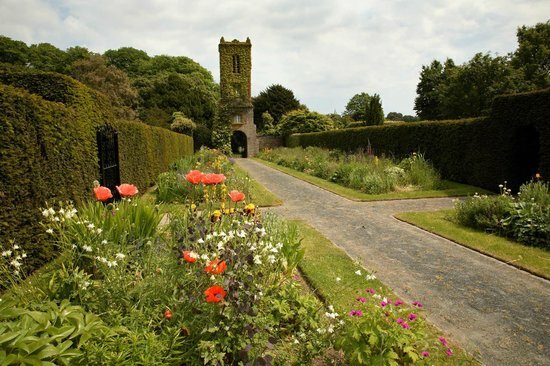 Originally owned by the Guinness family, this park is rich in history and provides a green oasis for visitors and locals to relax side by side. 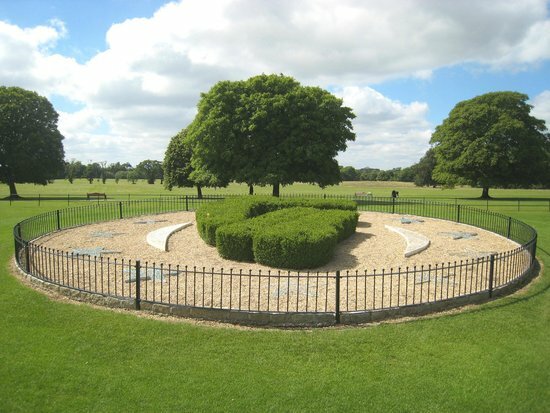 Duck ponds, rolling fields, forests, playgrounds and stunning rose gardens – its varied and beautiful environment features more than enough to keep outdoors-lovers of all ages entertained. The ten follies (including a Herculanean Temple) dotted throughout the grounds, built during the Guinness estate years, are also a memorable aspect of the park – although somewhat deteriorated and in need of repair, they make a great setting for all manner of make-believe! To get here, take the bus #29, #31 or #32.